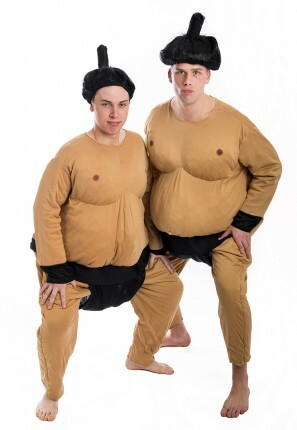 Japanese heavyweight Sumo Wrestler costumes for hire. Great for an international or sports theme party. Costume inlcudes padded jumpsuit and black topknot wig.